Have you ever thought about playing percussion? Orchestral percussion? And moreover triangle? Easy? … or not? You could try it with the Youth Percussion Pool and see how Leonard Bernstein does it! This program can be performed both in concert halls as in outdoor festival locations. A scaffold construction and giant specially built triangles will serve as décor & percussion installation. Prior to the show we offer the opportunity to attend a triangle/percussion workshop. Members of the Youth Percussion Pool will prepare the audience to be part of the performance during the actual concert while interacting with the players on stage and specially composed sound tracks. The overall theme and inspiration for this project is the fascinating personality of Leonard Bernstein and especially his masterpiece the West Side Story. Next to the special premiere-arrangement of the West Side Story, Koleva invited four American composers who are living in The Netherlands for a long time to write the music for the show. A musical journey from “I want to be in America” …. to “Let me be in Amsterdam”. Koleva’s own composition Way Home (from her second solo album Songs for Marimba) fits perfectly within the theme of this project. 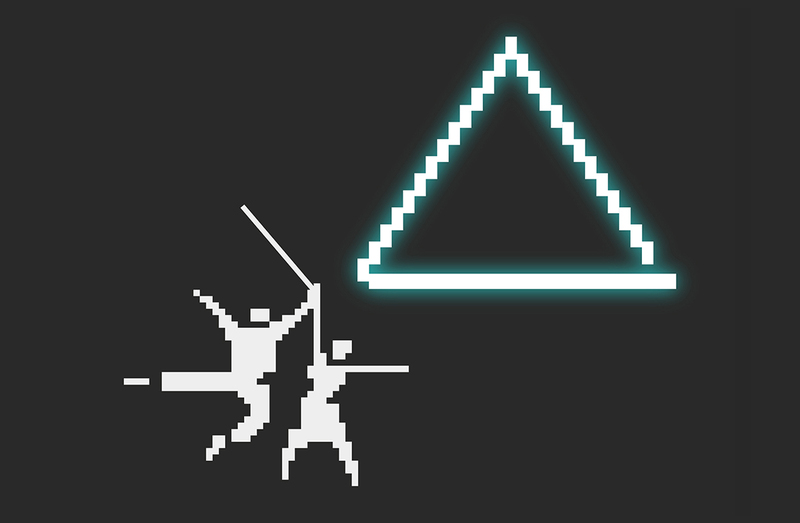 The triangle is used as a metaphor for the underdog-like circumstances in which foreigners and artist in general are situated. Migration – adaptation – acceptance: a diabolic triangle, raising questions, astonishment and emotions. The scaffolding is closely associated with “work in progress”, the future and what could arise. Wherever a scaffold pops up there is unfinished business, as the immigrant has to build his own future in an unknown environment. Video’s and musical interludes will provide a strong and dramatic structure with theatrical elements, virtuosity and humor as ingredients.